McCandless ventured on his own after the graduating from Emory University. He discovered solace in nature on his way to Alaska -- away from the less than desirable relationship with his parents. Unwittingly, McCandless found comfort in relationships with Rainey (Bob) and Jan, Wayne Westerberg, and Ron Franz and makes a discovery. His discovery? Happiness is only real when shared. McCandless learned this on his own, but a 75-year Yale University study proves it's validity. “Not having exceedingly high expectations is a key to actually obtaining some measure of happiness,” says Iris Mauss, an associate professor of psychology at UC Berkeley who studies the paradoxical effects of pursuing positive emotion. "Happiness is like a butterfly. The more you chase it, the more it will elude you, but if you turn your attention to other things, it will come and sit softly on your shoulder." 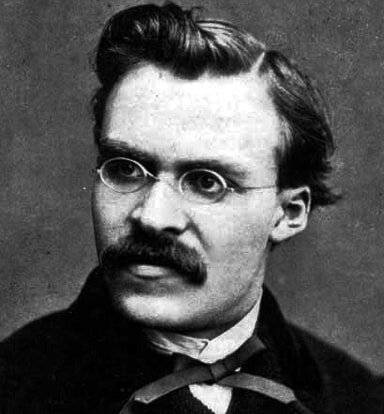 Friedrich Nietzsche wanted society set higher, more difficult goals than "mere happiness." Nietzsche wants society to consider what can only be earned through struggle, difficulty, pain and thus to come to see the value suffering and unhappiness play in the creation of value in life, including all the highest achievements of human culture. "It is a characteristic of the American culture that, again and again, one is commanded and ordered to 'be happy.' But happiness cannot be pursued; it must ensue. One must have a reason to 'be happy.'" 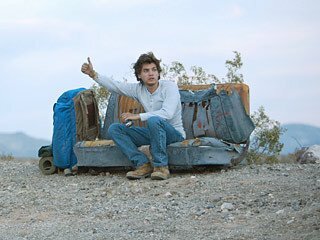 Reviewer Owen Gleiberman states, "The beauty of Into the Wild, which Penn has written and directed with magnificent precision and imaginative grace, is that what Christopher is running from is never as important as what he’s running to. He craves splendor and risk, a way of shaking off his suburban numbness. And he craves it so badly that he gets addicted to it. He’s a Gen-X Candide who blends striving with flaming out until you can’t tell the difference. Wandering the desert with a volume of Thoreau in hand, kayaking his way down the Colorado River without rowing skills (or a permit), finally voyaging into the mountains of Alaska, as far from humanity as he can get, he takes a journey of recklessness that maybe only a privileged kid could have imagined. Yet there’s a bravery to its indulgence. He’s going nowhere, just living, maybe dying — and embracing the adventure." Sources: Day, Charlie, "Merrimack College Commencement Speech," YouTube 4 May 2018. Web. Graham, Barbara, "What is Happiness Anyway?" Mindful.org 22 Sep. 2015. 4 May 2018. Web. Gleiberman, Owen, "Into the Wild," 19 Sep. 2007. 4 May 2018. Web.